Vania Romoff is a fashion designer based in Manila, Philippines. Vania debuted at Philippine Fashion Week 2009 where she was received by both fashion critics and publications with great acclaim as one of the country's revolutionary and upcoming designers. Since then, her designs have been appreciated both in the media and commercially. Admired for her refined subtleties in every cut and use of texture at such a young age, she has garnered the industry's attention and has been featured in numerous local design and lifestyle magazines, including Metro Magazine's Annual List of Young Women to Watch for 2009, Sense and Style Magazine's Young at Art List 2010 (cover), MEGA Magazine's 10 Women to Watch for 2011, and most importantly, 69 Artists to Watch For in the Philippine Yearbook 2010. Vania has also received several design awards. 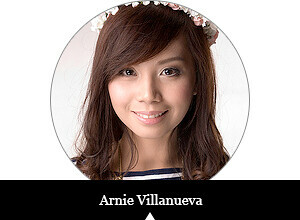 In 2009 she won the CITEM and Manila FAME First Fashion Eco Design Competition. She was also part of the prestigious Preview Emerging Fashion Talent Award, where she was given glowing reviews that eventually paved the way for her to create a line and collaborate with fashion retail giant The RAMP at Crossings. Her design collaboration, Vania Romoff for The RAMP, was greatly accepted by the public and fashion industry, proving that despite the young designer's age, she had conveyed talent and professionalism beyond her years. Recently in 2011, she won the MEGA Privè award for Best Couture Designer. Vania Romoff was also featured on several magazine covers that showcased her designs on celebrities: Preview Magazine, Mega Magazine and Zee Lifestyle Magazine. Her work continues to grace editorials and can be seen on celebrities and socialites as she further develops her craft. Recently, she has been hand-picked by the Philippine Consulate General of the United States as one of 5 designers to participate in the International Fashion Tour, where she previewed her Spring/Summer 2012 collection in both Seattle and New York. Vania Romoff ‘s collection for Fall 2012 is a marriage of the designer’s aesthetic of clean lines and modern design with the romance and the luxury of chic Parisian style. It is a showcase of fine craftsmanship and classic style. Inspired by the vintage Romoff pieces, designed by her grandmother in the ‘60s, Vania’s holiday repertoire is a nod to her roots of subdued elegance. Admired for her refined subtleties in every cut and use of texture at such a young age, Vania presents her admiration to anything French. “I have always been taken by classic French songs like “La Mer” by Charles Tenant, as well as the “nonchalance” of French New Wave (Nouvelle Vague) films like the ones by Godard,” she shares. Taking cues from the modest grandeur of yesteryears, icons like Jean Seberg and Ana Karina who exemplify that je ne sais quoi of that era resonates in Vania Romoff’s Fall 2012 collection. For Fall 2012, Vania Romoff’s look running throughout the collection is gamine and reductive, sketching out curves in a minimal fashion as mirrored in simple column dresses in soft fabric, voluminous shifts grounded by slim belts, and long, lean skirts, easy jumpsuits and relaxed sartorial jackets in satin. Approachable and refined, the collection focuses on the intricacies of flow, cut and design, rather than outlandish embellishment and trendy nuances. Silk Faille’s, velvet chiffons, and soft cottons add a luxurious exclamation to the fabric selection. Maintaining the chic tone of the repertoire, color palette will be of basic and muted colors of black, white, mocha, and shell pink, with gold accents. Keeping the line-up cohesive and stylishly in-tune, flats, envelope clutches, fine jewelry, berets, and buckets hats will provide the chic Parisian touch. Vania Romoff Fall 2012 is for the modern woman of understated elegance and discreet luxury. Check out these links to know more about Vania Romoff!